The guide covers only the absolute basics of using WordPress, along with some tips and advice thrown in for good measure. 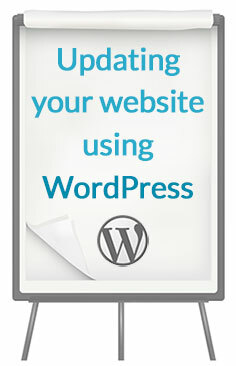 It’s not intended to cover advanced topics or anything relating to the installation (or customisation) of WordPress. By limiting the scope of this website to the absolute basics, we can ensure the information is always kept up to date and accurate (for the very latest version of WordPress). This means our guide is easy to use for everyone. It doesn’t get easier than this! WPmadesimple.org is run by Josh.biz Web Design. This online guide was primarily created to assist our clients who use WordPress to update the pages and blog posts on their websites. It usually accompanies and backs up the personal training we offer our clients. But we’re sure this guide will benefit other WordPress users too. If you have any feedback or questions, don’t hesitate to get in touch. But please do submit any requests for personal support (instead, contact your own web designer or supplier). If you have found this website useful, we’d love to hear from you. Equally, if you have any suggestions for improvements, let us know.